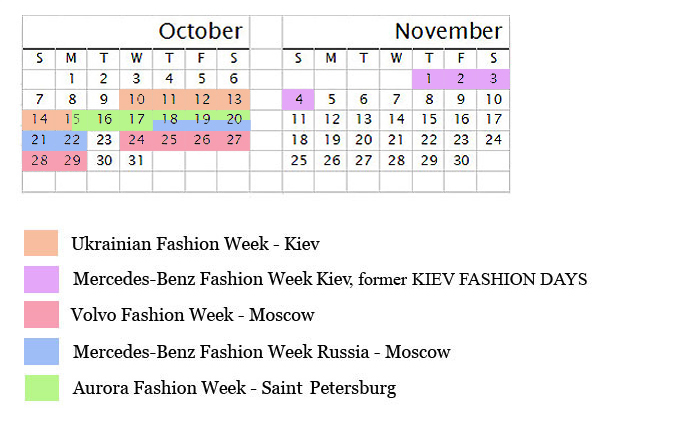 I’m happy to present you this S/S 2013 fashion week calendar for Russia and Ukraine. For more information about each fashion week visit their website, all URLs can be found on the Links page. You may have noticed that there are less fashion weeks than a year ago. Well, I guess, only the best survived, which is a good thing, right?